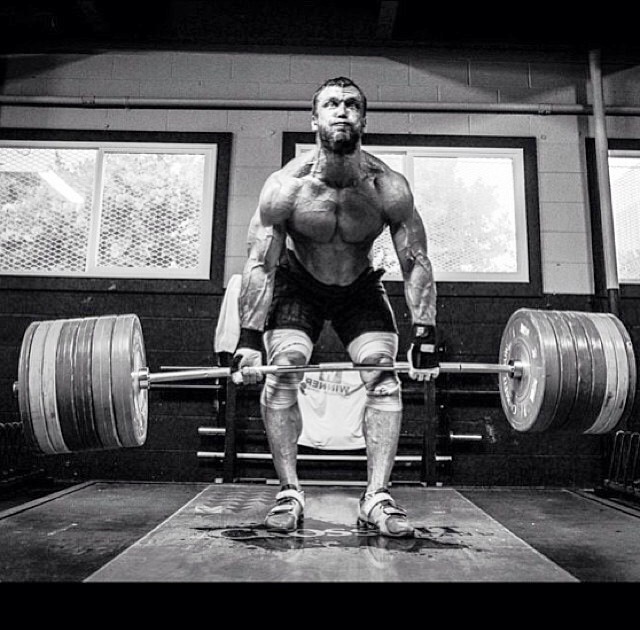 As a powerlifter I am in love with strength. Training for strength is fun and it is one of the few adaptations that I can virtually guarantee will occur when one applies hard work and consistency in the gym. I am also a personal trainer and I teach people to become personal trainers, so being fit is important to me. Strength is a part of that but it is pretty tough to argue that strength is the only component of fitness. And I grew up in the 80’s watching Arnold movies so I have an infatuation with building muscle as well. It is tough to tackle all three goals and come out on top and admittedly specializing, at least for a time, it likely the best way to go when one has competitive aspirations. CrossFit attempts to do this but in my opinion they do great on the fitness part of triad but they fall short on the strength and size aspect, particularly for males. After 2 decades of competing I find myself focusing a little less on my own competitive aspirations and a little more on coaching and staying fit, a program that focuses on this fitness triad has even more appeal. But the key theme is for the most part you are only hit each area directly once every other week. This is important to promote recovery because similar areas are going to be trained during some of the conditioning workouts and that has to be factored in. You’ll also notice each workout is broken into 3 parts. In a standard 60 minute workout the first section is about 15 minutes long, the second part is about 30 minutes long, and the third section is 15 minutes. The first part is usually either core or weak points, you can choose how often you want to do either one. Get creative with this, it could be just a classic ab workout or it could include mobility or some circuit or whatever you want. If you want to focus on core some of my favorite exercises include: ab wheel, kneeling band crunch, band side bends and side swings with a kettlebell. If it is more a weak point day it might be mobility drills, bodyweight exercises, dynamic stretches, or whatever you think will get you where you want to go. Personally I have always sucked at handstand push-ups and 1 arm pull-ups so I am trying to spend some time focusing on those abilities at the moment. Think of this time as practice instead of training so don’t destroy yourself here. If you were working on shooting foul shots would not shoot until you couldn’t move your arms, you would shoot 20 and then take a break, analyze your form, and then shoot some more. The second part is classic resistance training. Pick a body part (or movement if you prefer to think of it like that) and train it pretty hard. Remember you are only attacking this one area specifically once every other week most of the time, so don’t sandbag the workouts. You can focus on either building strength or building size with the lifting. Choose the key exercises that you believe will help you reach your goals and hit them hard. Blasting 3-4 exercises total during this section usually works well. The third part of the workout is where we spend our time focusing on fitness. That word has different meanings for different people, I suggest you spend some quality time creating a definition that works for you. It isn’t the textbook definition but I define fitness as the ability to do a large amount of physical work with loads or movements that most people can’t do once. By most people I am talking about the average American walking around, not the average meathead. Benching 225 for 50 reps in 10 minutes is a lot of work, most people can’t bench that once. Doing a set of 20 pull-ups is a lot of work, most people can’t do 1. To further build fitness I am breaking it down into 3 areas of focus which I designated A, B, and C above. Conditioning A has a heavy cardiovascular focus but it usually isn’t just straight cardio. My favorite choices for this day include sprints on the treadmill (or outside, hills are fine) of 40-400M in distance, with walking included as recovery (sprinting the straights, walking the curves, for about a mile is a classic time test workout), using the prowler, or using the ergometer (rowing machine). 2-5 rounds of the 500M row with 1-2 minutes of rest works well. In this workout you front squat, then move to push press (likely with different weight), and then you perform normal pull-ups. Do them all for 12 reps, then all for 9 reps, then all for 6 reps and you are done. You can choose whatever weight you want, if you can front squat 225, push press 185, and do pull-ups with 50 lbs of added weight and you can get it all done in 10 minutes I would say that is pretty damn fit (I am working on that myself but I have not done that yet). Conditioning C generally involves some higher rep stuff done with your bodyweight or lighter loads. All bodyweight exercises, kettlebell swings, box jumps, complexes, tabata style training, battling ropes, etc are all good tools to use here. Do them all in a row (one set of push-ups, then swings, dips, box jumps and then start over again) for time. Keep in mind the above examples are just a few of almost limitless possibilities. I highly encourage you to draw on other activities you have done, sports you have played, and your own definition of fitness to come up with some fun challenges for yourself. You can have a small number of workouts that you regularly repeat or you can continually create new ones, it is up to you. Just make sure you have some measuring stick to show that you are indeed moving toward your goal. I find this workout program to be both fun and effective in building size, strength, and overall fitness. Training 3 times a week is enough to elicit gains without consuming your life. If you are so inclined to add in another session or go on a hike or whatever, knock yourself out. If you are a total beginner trying Starting Strength. If you are training for a very specific event that is right around the corner (bodybuilding, powerlifting, etc) then choose a program built just for that. If you want be strong, look jacked, and still be pretty damn fit at the same time, give this set up a try.